According to recent internet usage statistics, the average attention span of online users is just around 4 seconds. Within this time, a web owner should have communicated his agenda and sold his brand. This calls for a blazing fast website. Many of the lost sales in e-commerce can be attributed to slow loading pages and downtime. In addition, slow loading speed can have a negative impact on the credibility of your site. In conventional marketing, a dissatisfied customer goes on to tell 12 others of his displeasure. On the online platform, such displeasure can go viral thereby affecting significantly the chances of attracting new clients. While it is a popular belief that the load speed and uptime percentage of a website solely depends on the web server where it resides, the reality is that many other factors are involved as well. Discussed below are some practices that can help you keep your site fast and responsive. 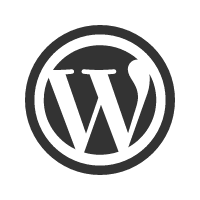 WordPress is becoming more and more sophisticated with the passage of time. Moreover plugins and themes are also getting more complex. As a result, websites powered by this amazing software are usually great to look at but are sometimes painfully slow. Fortunately the WordPress community is constantly trying to make things efficient and fast. Every update has some performance improvements. Therefore it is advised that you keep your WordPress site and all its plugins and themes up to date. Keep in mind that outdated software may not only affect the accessibility of your site but could also lead to security loop-holes. In order to detect speed problems and downtime early on you should use a reliable monitoring system. Without using such a system you may not realize that your website is having problems for several hours or even days. This can be dangerous in eCommerce setups where clients are very sensitive and watchful. Website monitoring tools work 24/7 and scout the web to ensure your site is up and running. Whenever there is a problem, these monitoring systems will notify you via email, phone or short message service. There is always a temptation to setup DNS hosting on your own servers. While this is considered cheap, it is detrimental in the long run. DNS server crashing, security updates and configuration redundancies can easily take your nameservers offline. This will make your website slow or worse, unreachable. Reliable DNS hosting will ensure that your site is always up and running. You do not need a huge budget to employ on-call server specialists. These professionals will ensure that your website is attended to quickly following a server crash. They are usually alerted by a monitoring service. Whether it is during the day or at night, they usually respond swiftly even without your knowledge to fix your WordPress site. While they are many other ways to maximize the loading speed and uptime of your site, the ones discussed in this article are the major procedures to be taken.